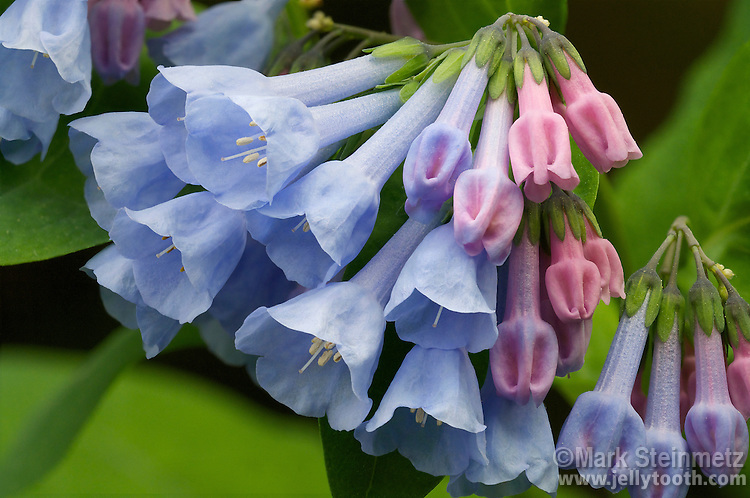 Cluster of Virginia Bluebells (Mertensia virginica). Spring ephemeral perennial wildflower native to eastern North America. The herbaceous plant's prolific foliage completely dies back by the end of spring. The flower buds are pink due to the presence of protective anthocyanins, but maturing flowers increase their alkalinity in order to turn blue, a color more attractive to pollinators. Franklin County, Ohio, USA.